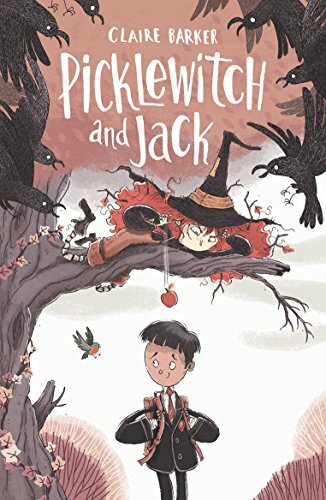 Picklewitch and Jack is an endearing book about a very proper, high achieving boy called Jack who begins attending a very academic school when he moves house. His ordered, neat and tidy life soon begins to unravel when he comes across a strange little character living in a tree in his garden. Picklewitch is the opposite of Jack, lives life as it comes up in a tree. She completely turns Jack’s life upside down and starts to sprinkle some magic around with lots of interesting consequences. She manages to get herself a place at Jack’s school-much to his dismay-where she then weaves her magic in and out of the school and adds pizzazz and sparkle. The story is actually quite touching. It takes a while for Jack to find out what a true friend is because of all the twists, turns and funny events that happen along the way but when he gets there it’s great. It is funny and quirky with the contrast of characters being particularly well written. There is some great imaginative language which children will enjoy reading out loud - I also liked the handy glossary at the back. I might even take on some of the words like Fudgenuts! The warmth and wit is bought to life by the illustrations too. All in all I think I’d quite like a Picklewitch in my garden - I think she’d bring a lot of happiness and natural joy to everything.